Grassroots Zionist group faced criticism for a post that targeted artists who are active in radical groups. 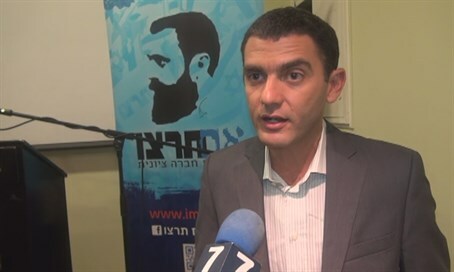 Matan Peleg, Chairman of grassroots Zionist group Im Tirtzu, suspended himself Sunday following criticism of a Facebook post that targeted artists who are active in radical-left groups. The controversial post was a follow-up to the "foreign agent" (or "planted") campaign that focused on subversive Israeli organizations working against IDF soldiers and against the state of Israel, with funding and support from foreign governments and Palestinian foundations. "On these matters, there is no room for error. 'Im Tirtzu' is larger than all of us. It is a pioneering force in the battle over the Zionist idea, and as such, there is no room for inaccuracies in our activity. Each move we make must be precise, down to the last period. This is what I demand from the movement, and this is what I demand from myself. In light of the above, I have decided to suspend myself for the moment from the 'Im Tirtzu' leadership, for some personal introspection. For a comprehensive reckoning in order to improve and continue in the future. "What is important for me, before anything else, is the good of the Israeli society in general, and in particular, the good of the movement and its activists. I assume full responsibility for the uploading of the post to Facebook and the furor it created. This is not the way of the 'Im Tirtzu' movement." Peleg and the movement had already apologized for the post, which caused several MKs and media figures to announce that they were dissociating themselves from Im Tirtzu. The post focused on well-known artists, writers etc., who are members of the groups targeted by the "foreign agent" campaign or sit on their public boards, but who do not tend to talk in public about their official status in these groups. It was perceived by many as portraying them as traitors, although the word was never used.